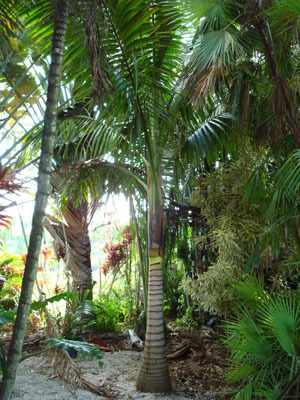 A very interesting water loving palm that needs to be planted in shade or filtered light and allowed to grow up into the sunlight Its crown shaft is near black in color and contrasts wonderfully with its grayish white trunk that can slowly rise up to about 30 feet. It’s not particular about soils but does needs frequent watering and cannot be allowed to dry out. 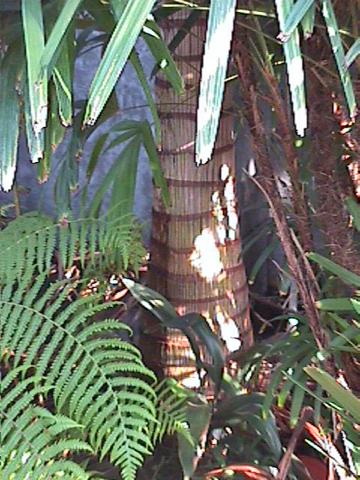 Its an extremely attractive palm.